The IFIM Law School scholarships is intended to encourage meritorious students who demonstrate academic excellence and enable those in financial need to pursue law and qualify as a lawyer. ** Application for scholarship should be made along with the regular admission application for the respective program. ** A sample application form is provided in Annexure ‘A’. Students with financial need shall clearly mention such need and produce evidence towards such need. The scholarship includes full or partial tuition fee waiver. 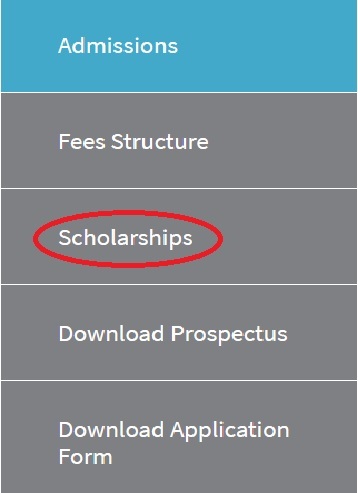 The following criteria is applicable for the selection of the students to be eligible the scholarship. ** The number of seats for each category of scholarship would be limited and will be decided by the admissions committee at the beginning of the admission season. ** A scholarship will initially be awarded for a period of one year, renewable after every year for a period of five years. ** A student who has been awarded the IFIM Law School scholarship will have to constantly maintain an overall CGPA of 9.0 out of 10. ** A scholarship holder will also have to be a part of a particular research centre and assist the faculty in charge of the centre by conducting research and complete other tasks assigned to them from time to time. Such student shall devote a minimum of 4 hours every week in assisting the faculty in charge at the centre. A weekly report/dairy shall be maintained by the student. ** A scholarship holder will have to be a teaching assistant at least for a semester in their chosen subject of interest and assist the faculty in teaching and research for that respective class. ** A scholarship holder will not be entitled to any compensation in cash for assisting the faculty by being a part of a research centre or by being a teaching assistant. ** The faculty shall submit a report at the end of the semester evaluating the students’ performance under whom the student has conducted research or assisted the faculty as a teaching assistant. ** Ragging on campus/ hostel. ** Smoking and substance abuse on campus/hostel. ** Creating nuisance, indulging in violent acts and damaging institute’s infrastructure on campus/hostel. ** Not obtaining the required CGPA. ** Upon failure to accept the scholarship award within the said deadline. Late applications will not be entertained. The scholarship application deadline is similar to the phase – I admission deadline i.e.15 Feb, 2019.